Community Variety Show. In the Sanctuary on Fri., March 29, at 7pm. All-ages show featuring music, dance, poetry, humour and other creative acts. 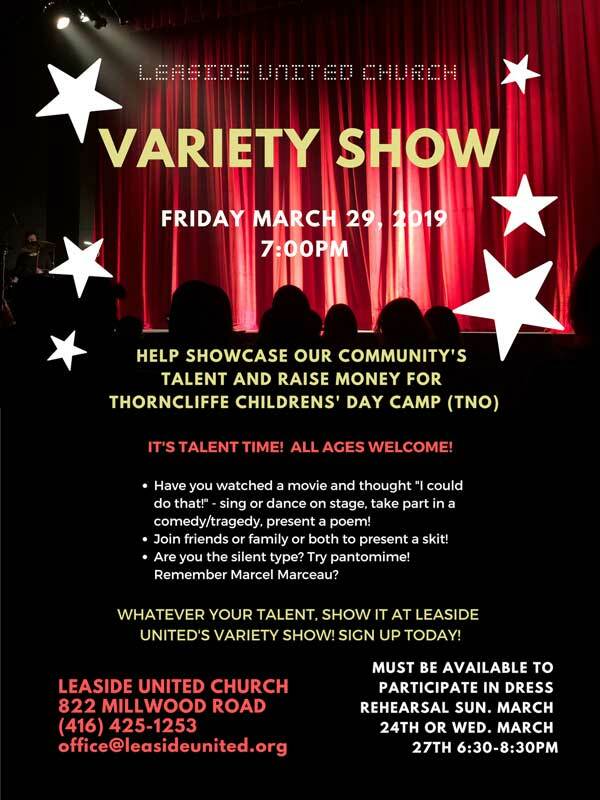 Support our community’s talent and raise money for Thorncliffe Children’s Day Camp. Adults $10, Family $25.